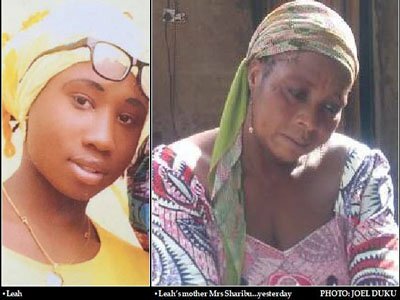 Rebecca Sharibu, mother of abducted Dapchi School girl, Leah Sharibu, has filed a N500 million law suit against the Inspector General of Police (IG), Ibrahim Idris and the Attorney General of the Federation (AGF), Abubakar Malami following their failure to secure her release. This is following her daughter’s continued incarceration, who since February was abducted along with over 100 Dapchi School Girls by Boko Haram in Yobe State. According to the suit dated September 19, 2018 with no. FCH/L/cs/1528/18, filed at the Federal High Court, Lagos, which was made available to journalists on Tuesday in Jos, Plateau State, it sought for the compensation over the indignities and human deprivations suffered by Leah since her abduction. The suit also prayed the court for an order to direct the defendants to secure the immediate and unconditional release of Leah, as well as compel the defendants to employ every means in securing her release. The suit further warned that if the defendant fails to respond within the stipulated time and at the appropriate place, order will be made and proceedings may be taken as the Judge may think just and expedient.